If you are looking for somewhere to jet off to this September, why not consider Singapore? 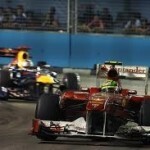 Singapore is a great destination at any time of year, but September gives the added bonus of the Singapore Grand Prix. It may seem a long way to travel at first glance, but a charter jet flight from Chicago to Changi Airport in Singapore will only take you less than a day, and you can schedule your stop wherever you want as you are not tied to a particular flight path. Of course, if you use a chartered jet that time can be spent in comfort while taking a nap or planning your itinerary, leaving you fresh and prepared once you land. 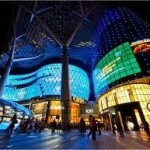 However, the simple fact is that no matter how you travel, Singapore is a very special place to visit, so let’s see why. 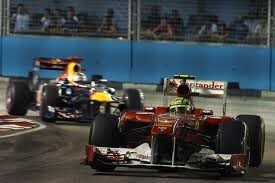 If you have never been to a Grand Prix you have been missing an incredible experience. The sounds and the smells that go hand in hand with any Grand Prix simply have to be experienced first-hand and there is no better place than in Singapore. Watching great racers like Lewis Hamilton and Felipe Massa hurtling around the Marina Bay circuit would be enough of an occasion, but add in the thrill of a night circuit, and this becomes an event not to be missed. If the excitement of the Grand Prix is not enough for you, don’t worry; there are other ways to enjoy your spare time. As part of the Singapore spectacular there is live music throughout the period, and with the likes of Jenifer Lopez, Robbie Williams, and the Pet shop boys on show, you can dance the night away in the evenings. Of course, if you use a private jet service, you could take an evening flight around the Singapore skies, enjoying a fantastic meal and the incredible views of the Singapore skyline. 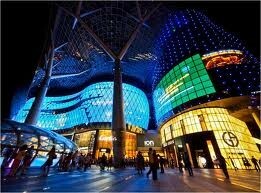 Singapore is world famous for its shopping facilities, and there is no reason for you not to avail yourself of them. Whether you want to buy designer clothes at one of the huge modern malls like the ION market, or want to spend your time wandering through the myriad shops and boutiques of Haji Lane, there is something for every shopper in Singapore. With a diverse population and many ethnic influences, Singapore has a choice of cuisines that is rare in the East. There are influences to be found from Malaysia, China, Indonesia, and even Portugal, and you can choose from high end restaurants to street food stalls to try the different dishes available. You could even enjoy a meal in one of the incredible restaurants around Marina Bay while enjoying the atmosphere of the Grand Prix; killing two birds with one stone. Because of the many cultural influences that have affected the growth of Singapore, you will find the cultures of many countries represented. With a Chinese district, and the Indian district (to name only two) to wander through and enjoy, you can take in the differences of these cultures with a simple walk through the city’s streets. You could notice a change in the food, language, and customs of Singapore simply by turning a corner, and that is one of the greatest things that Singapore has to offer. Singapore is a busy city at most times of the year, but over the week of the Formula 1 Grand Prix it becomes even more so. The crush of the airport and the time spent in it, can put people off taking such an eye opening trip as this. However, if you arrive and depart by charter jet, you will find that not only are your journeys hassle free, so is your passage through the airport.